Concentrations of development in cities, villages and hamlets within towns as well as industrial processes result in volumes of wastewater that can pose a threat to the environment and public health if untreated. The professionals at Delaware Engineering, D.P.C. specialize in the characterization, collection, treatment and discharge of municipal and commercial/industrial wastewater. 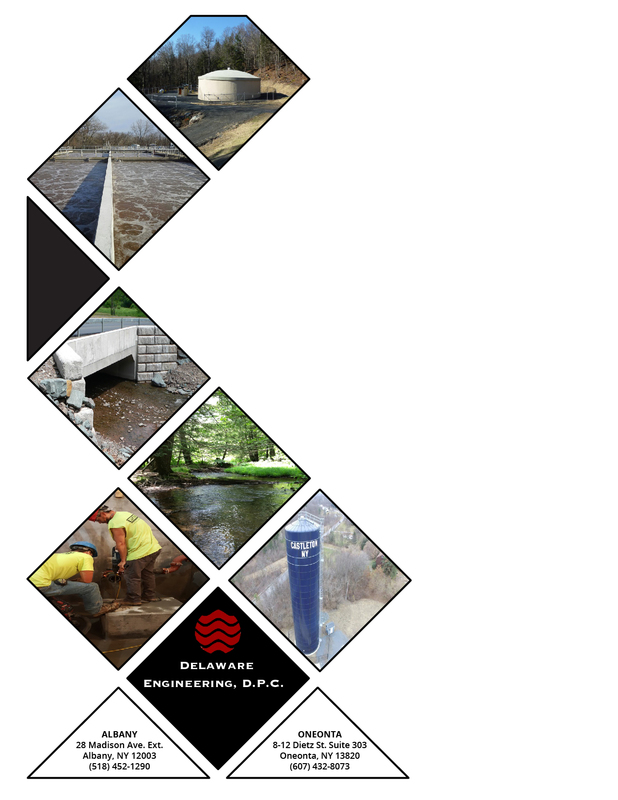 Achieving stringent discharge standards and targeting wastewater solutions to meet economic as well as environmental objectives through planning, permitting, design, bid assistance, construction oversight and start-up/operations support are the hallmarks of Delaware Engineering’s practice. Delaware Engineering’s expertise in securing grants and low cost financing for wastewater projects through federal, state and regional entities to support public health and economic development initiatives is unmatched. 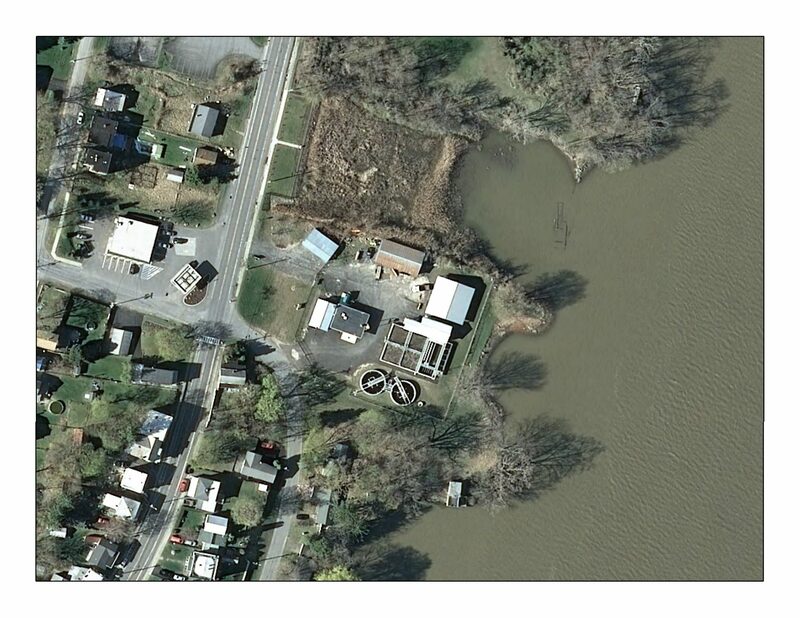 The Village of Waverly’s aging wastewater treatment plant (WWTP) was falling into disrepair and facing several challenges: in addition to failing pieces of equipment, the plant was out of compliance for total phosphorous effluent discharge limits as of 2016; the plant needed upgrades to be able to meet 2025 Chesapeake Bay watershed nitrogen and phosphorous limits; and a food processing company which had long been a major wastewater contributor had decided to build its own treatment plant, reducing flows to the Village WWTP by two thirds, and reducing operating revenues considerably. Delaware’s engineers worked with NYSDEC to craft both short- and long-term plans to bring the WWTP into compliance. The project required taking 75% of the existing plant offline while renovations and new construction were actively ongoing. Effluent constituents were monitored for two months to ensure that the existing, diminished WWTP could treat wastewater to current SPDES limits without requiring interim limits from DEC, allowing the upgrade to occur quickly and efficiently. Working with Village officials and WWTP operators, Delaware designed plant improvements that included a new headworks building, upgrading the 34-year-old aeration tanks into equalization tanks, constructing a new tank for membrane bioreactors (MBR), retrofitting an existing clarifier to become a pre-aeration tank, and constructing a new two-story masonry building to house the new MBR equipment and controls. Delaware also assisted the Village with funding procurement, creating an engineering report that helped earn the Village 0% hardship financing and a grant of approximately $4 million through NYSEFC. The new state-of-the-art membrane bioreactor plant is on budget and on schedule, ready for inspection in late 2018, and ready to be brought online in early 2019. 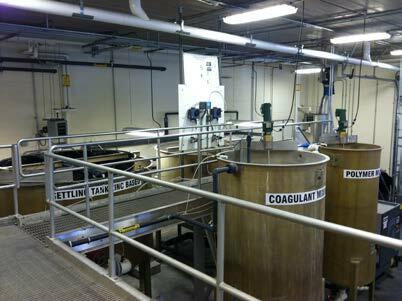 Delaware Engineering conceptualized, designed, permitted, conducted start-up operations and provided operational support for a custom wastewater treatment plant designed to handle high BOD wastewater resulting from the manufacture of consumer health care products. The project presented numerous challenges, as most similar facilities discharge wastewater to large municipal systems, where the high BOD wastewater is diluted with large quantities of domestic sewage prior to treatment. In addition, the manufacturing facility is unique and state-of-the-art; thus flow and loading expectations were undefined. After extensive research and pilots, a solids separation process using chemical precipitation and a Membrane Bioreactor technology were selected as primary treatment units. The project included design of the 12,400 SF facility, HVAC, lighting, electrical distribution, process equipment and control systems. Delaware also represented the client in conducting environmental reviews, and obtaining local, state and federal permits, and assisted with community outreach. 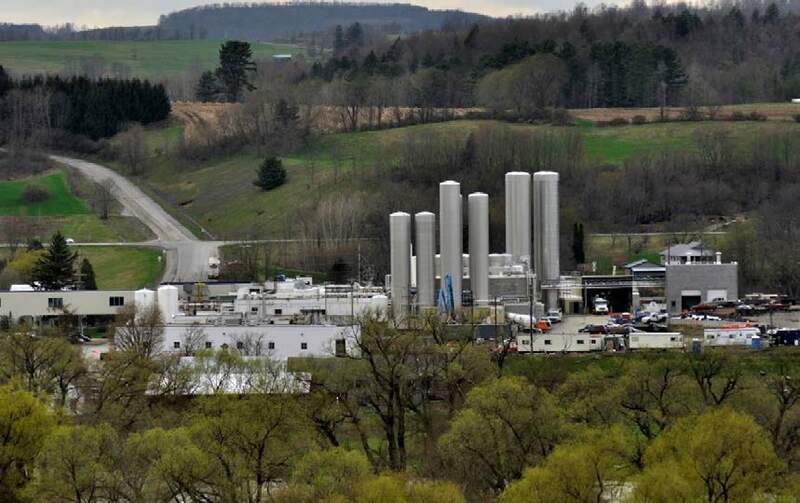 Founded in 2005, Chobani has realized remarkable success within the U.S. dairy product industry, growing to a more than $1.5 billion company that has had a positive impact on both the dairy industry and on employment in Upstate New York. As yogurt sales skyrocketed for the company, so did its wastewater flows. Chobani contracted with Delaware Engineering to plan, permit, design, and supervise the construction and start-up of a new 900,000 GPD membrane bioreactor (MBR) wastewater treatment plant. The new WWTP was constructed while the existing 100,000 GPD aerobic lagoon system remained in service. Delaware designed and constructed the plant in a way that minimized initial capital outlays and ensured that subsequent expansions will be cost-effective. This fast-tracked project was constructed in the winter of 2011 on a parallel track with NYSDEC review and approvals. Delaware, Chobani staff, on-site contractors and the MBR system supplier worked closely to keep project design and construction on track. 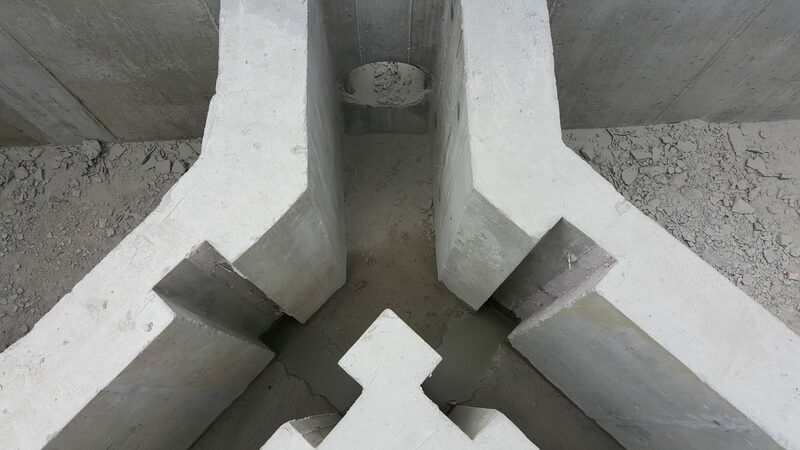 New WWTP components to treat the high-strength wastewater included a new aerated equalization tank upstream of the existing dissolved air flotation process, MBR tanks and components, in-line UV disinfection, a 1500 KW diesel generator and a new 2 story masonry control building. The new WWTP went online in 2012, with subsequent closure and removal of the existing lagoon, clarifier and WWTP building. The WWTP is meeting all SPDES permit limits, including new Chesapeake Bay nitrogen and phosphorous limits. Delaware Engineering prepared a Facility Plan for Orange County Sewer District No. 1 that reviews alternatives to address sewer capacity and longevity issues. The Facility Plan provides a comprehensive review of the Harriman WWTP, a facility with aging infrastructure that uses numerous technologies to treat wastewater both from District 1 and from adjacent Orange County communities. In addition to analyzing improvements that would extend Harriman’s useful life without increasing capacity, Delaware also evaluated the costs and benefits of a Regional Approach that would expand capacity to accommodate economic development. 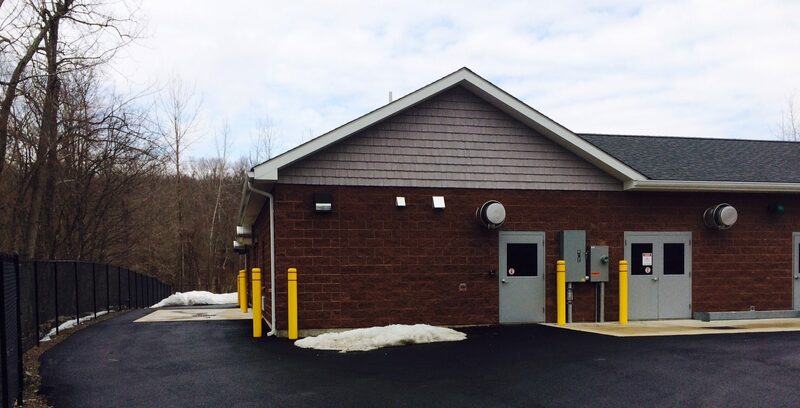 Rensselaer County Sewer District (RCSD) planned to upgrade three wastewater pump stations and was required to submit design plans and specifications to regulatory agencies within a two-month period. Delaware Engineering worked with RCSD to successfully complete the plans within this fast-tracked time frame. Delaware staff designed energy efficient upgrades including new pumps, motors, screening systems, HVAC, lights and controls. The existing pump controllers were replaced with variable frequency drives. New pressure transducers and flow meters were installed to control the pumps, as were new fire alarm systems. Delaware also designed a new cellular system for transmitting pump station data to central data storage for display and reporting. Based on the successful design experience, the RCSD utilized Delaware staff for construction management and inspection for the project. The project had a one year construction deadline and was completed in Spring 2016. Delaware Engineering assisted the Town of Duanesburg in evaluating the financial and engineering feasibility of providing a centralized public sewer system for the Hamlet of Duanesburg. The Hamlet had long-standing environmental concerns due to the failure of aging septic systems. Delaware prepared a Feasibility Study, which evaluated the potential costs of several alternative service areas (base, reduced and expanded districts). It also evaluated several methods of treatment, including conveyance to the Delanson wastewater treatment plant, a standalone package plant within the Hamlet, and a decentralized wastewater treatment system. Delaware assisted the Town in forming a new Town Sewer District, and in creating a plan of finance. Delaware prepared and submitted a Preliminary Engineering Report to NYSEFC in February 2016, along with a CWSRF funding application. The project was listed on the CWSRF Intended Use Plan (IUP) Annual List and received a Hardship Determination for the community, allowing the Town interest-free financing for both short- and long-term borrowing. Delaware also assisted the Town in obtaining additional grant funding, through WIIA, DASNY, and Schenectady Metroplex. Delaware assisted the Town in completing the SEQR process, obtained all necessary permits for construction, and participated in public information sessions. In 2016, Delaware completed the design and bidding phase of the Duanesburg Sewer project, and as of 2018, construction is substantially completed, with residents currently connecting to and using the new system. 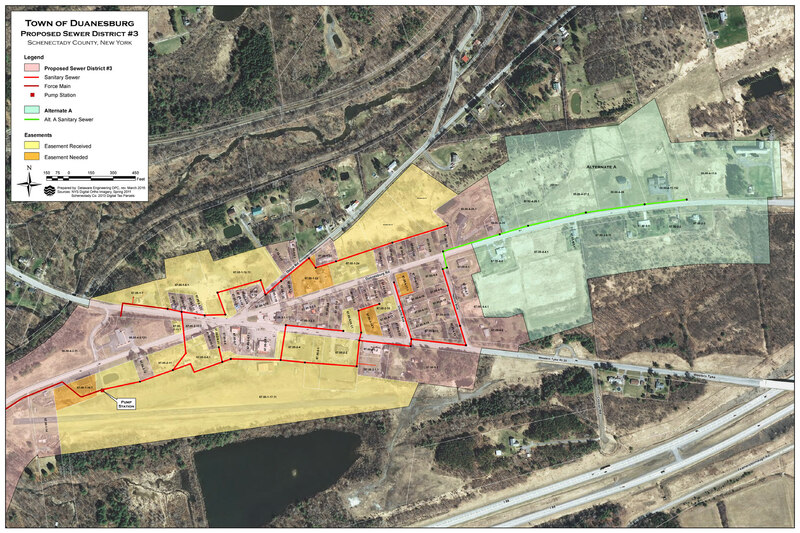 This project includes the design and construction of a membrane bioreactor (MBR) wastewater treatment plant to serve both the Hamlet of Tuxedo and the planned Tuxedo Farms residential development. Delaware Engineering contracted with the developer, Related Companies, to provide planning, permitting, design and construction management services for this ongoing project. The facility is sized for 311,000 gpd and is designed to be easily expandable to 500,000 gpd. The MBR process includes fine screening, grit collections, flow equalization, biological treatment, membrane filtration, chemical treatment for nutrient removal, disinfection and a membrane biothickener (MBT) for sludge processing. 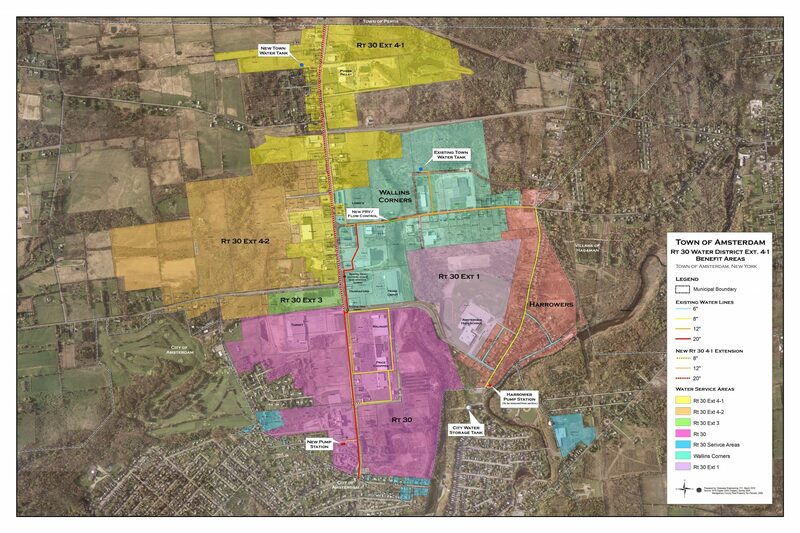 The Town of East Greenbush in Rensselaer County, New York is ideally positioned for growth and economic development. Strategically located directly across the Hudson River from the City of Albany, just minutes from the State’s Capital, with major highway access from I-787 to the west and I-90 to the north, the Town is the location of major industry (Regeneron Pharmaceuticals), significant retail and commercial development, and major residential development. However, with an Order on Consent with the NYS Department of Environmental Conservation first executed in 2000 containing a moratorium on new sewer hookups until problems were addressed, the growth and interest in development the Town had experienced in the 1980s and 1990s was not experienced throughout the 2000s, and without a definitive plan for wastewater treatment, the Town’s future was bleak. Over the years, engineering plans had been developed to upgrade portions of the Town’s sewage infrastructure to address immediate problems, and the concept of abandoning the treatment plant entirely in favor of consolidation with the County’s sewer system had been the subject of a Shared Services Study conducted with funding from the NYS Department of State. 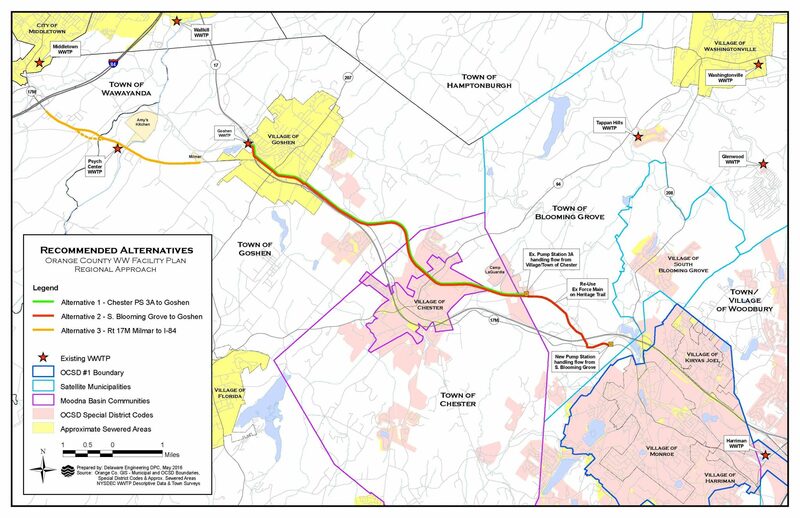 Despite years of analysis and discussion, the Town remained uncertain as to the best path forward that would most cost-effectively address the issues outlined in the Order on Consent to lift the sewer connection moratorium while providing the best value and certainty of costs to existing property owners as well as those seeking to develop within the Town. In 2012, with less than $5,000 in funds remaining in the Shared Services Study grant, the Town Engineer subcontracted with Delaware Engineering to conduct a thorough, fact-based fiscal and technical analysis to assist the Town of East Greenbush in determining whether to consolidate sewer services or upgrade the Town’s WWTP to address the requirements of the Order on Consent. To conduct the analysis, Delaware evaluated treatment plant operations as well as requirements for consolidation, compared existing treatment facilities to regulatory standards, and created a conceptual design and cost estimate for upgrade of the treatment plant. With this data, the Town was able to compare the costs of debt service and continued operation of the Town’s plant to the cost associated with consolidating with the County sewer system. While initially counter-intuitive, the fact-based analysis prepared by Delaware demonstrated that due to legacy costs (e.g., personnel and existing debt) and the costs of treatment charged by the County system, consolidation would be more costly for the Town’s residents. An approximately $13 million upgrade of the wastewater treatment plant would require an additional $550,000 in revenues a year, while consolidation with the County would have demanded an additional $1.7 million in revenue annually. After many years of non-compliance and seven Consent Order Modifications, the public was naturally skeptical of the decision to spend some $13 million to upgrade the wastewater treatment plant instead of eliminating it and consolidating services with the County system. Delaware assisted the Town Board in conducting a series of public information sessions, presentations and hearings to obtain public input, to respond to questions and to ensure that the facts of the analysis were presented to the public prior to final decision-making. As a result of the analysis and with strong public support, in December of 2012, the Town resolved to upgrade the WWTP to extend its useful life. Design, permitting and financing were conducted in 2013, and construction was completed in the spring of 2016. Through the course of the project, Delaware Engineering conducted planning, provided financing assistance, permitting, design and bidding of upgrades to the wastewater treatment plant, and provided construction engineering for upgrades (including new screening, grit removal, and expansions to primary clarification, biological treatment, disinfection, odor control, sludge treatment systems, SCADA and wastewater flow management). 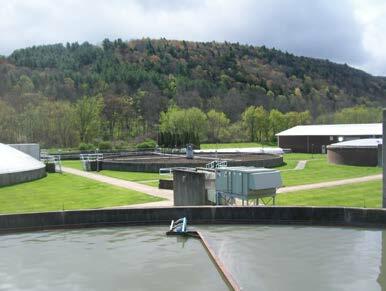 Like so many municipalities, the City of Oneonta owns and operates a wastewater treatment plant that was built more than 40 years ago, and contains equipment that has reached the end of its useful life. Because the plant is located in the Chesapeake Bay watershed, and because many different entities depend on City sewer service (2 colleges, a hospital, 2 nursing homes, and dozens of small and medium-sized businesses), upgrades to this critical infrastructure became necessary. Following a comprehensive review of plant conditions, Delaware worked with City officials and plant operators to determine the highest-priority aspects of the project and worked to engineer a comprehensive solution to aging infrastructure while staying within the City’s budget. Delaware further assisted the City by applying for, and securing, a WIIA grant of more than $2 million. Delaware is providing engineering and design, bid/award services, and construction inspection to the City for a project that will involve improvements to the control building, primary and secondary clarifiers, trickling filters, RBC, dewatering facilities, the sludge drying beds and primary digester. The project is expected to go to construction in the spring of 2019 and to be completed by the end of that year. With these upgrades, the plant should provide another 30 years of operation and compliance with stringent effluent limits. Delaware Engineering supports towns in New York State in the formation of special improvement districts under Article 12 and 12A of the Town Law and, additionally, assists with Town Law Article 12, Section 202(b) proceedings for the increase or improvement of existing special improvement districts. We have specific experience in the preparation of Map, Plan & Report documentation for the creation of water, sewer and drainage districts. Additionally, we support town boards with public engagement to describe and respond to input regarding the creation of special improvement districts. In preparing Map, Plan & Report documentation for water, sewer and drainage districts, our approach is to carefully consider district boundaries as well as the infrastructure that will support the provision of public services. Rate structure and end user costs are evaluated initially and throughout the iterative process of creating a district. We coordinate with local and bond counsel in the creation of districts, and are well versed in the review conducted by the Office of the State Comptroller when required. Delaware Engineering conducts similar services — including preparation of a map and plan, and support at public hearings — for increase or improvement proceedings under Town Law Article 12 Section 202(b). in 2012, Delaware Engineering provided planning, permitting, design and construction supervision services for necessary repairs and upgrades to the Village of Athens’ wastewater treatment plant. 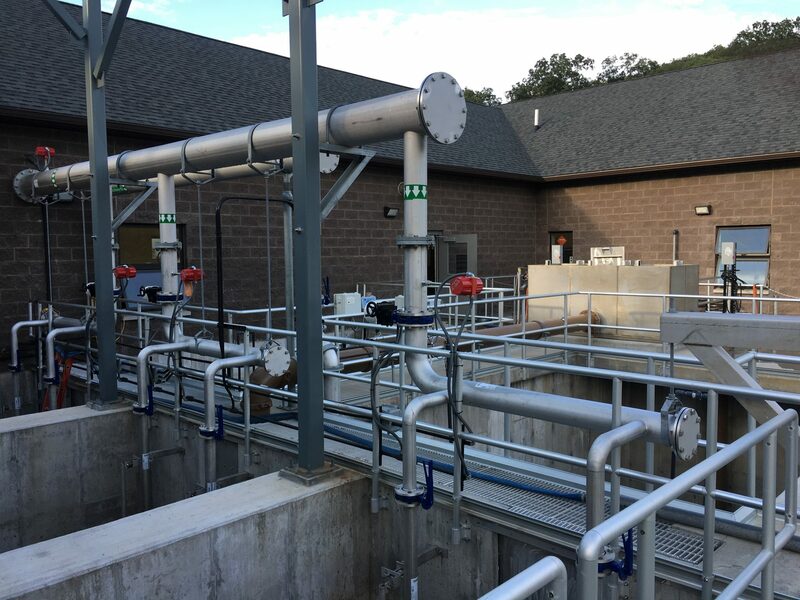 Upgrades included a new headworks building with fine screening and grit removal, and improvements to the aeration system, secondary clarifier, disinfection system and sludge handling facilities. Due to the site’s location in the Hudson River flood zone, Delaware’s design incorporated flood-resistance features; the design was tested during Superstorm Sandy later that year and performed well. Delaware also assisted the Village in procuring $4.6 million in CWSRF funding for the upgrades, and for inflow and infiltration work. How to treat wastewater resulting from brewing and bottling activities depends on the volume of water required, and the makeup of the wastewater. There are various organic components present in brewery waste, like sugars, soluble starch, volatile fatty acids, and ethanol. These biodegradable organic materials also consist of various solids like spent grains and waste yeasts. The brewing process generates a high-strength wastewater with a high concentration of bio-chemical oxygen demand (BOD) from the carbohydrates and protein used in brewing beer. For this smaller brewery application in Hoosick Falls, Delaware designed an aerobic treatment approach to provide increased flexibility for the high organic loadings. Aerobic treatment has less potential to produce offensive odors than anaerobic processes. 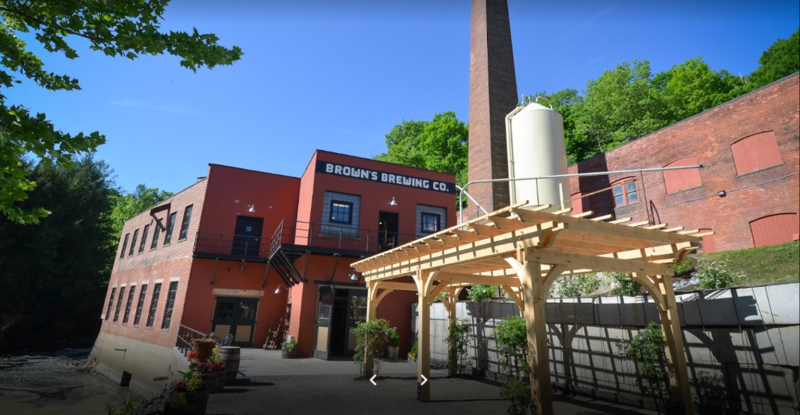 The wastewater treatment system selected for Brown’s Brewing Company is comprised of a fine screen rotary drum, aerated equalization basin (EQ), anoxic tank, pre-aeration basin, and submerged membrane bio-reactor (MBR). The MBR system was chosen due to its flexibility in treating varying organic wastes. 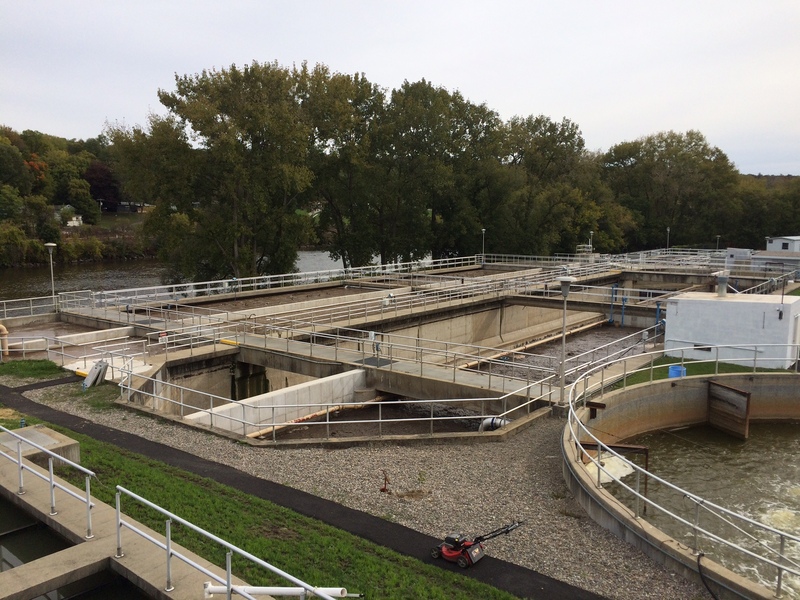 Delaware Engineering assisted the Village of Canajoharie by implementing a WWTP efficiency project to address the aging components of the existing system as well as to dramatically reduce operating costs and demands. The wastewater improvements included a new influent screen and grit removal system, conversion of existing oxidation ditches into a fine bubble aeration system and an aerobic digester, disinfection system upgrades, rehabilitation of the belt filter sludge press, new computerized operational controls, and architectural upgrades to increase the facility’s energy efficiency. 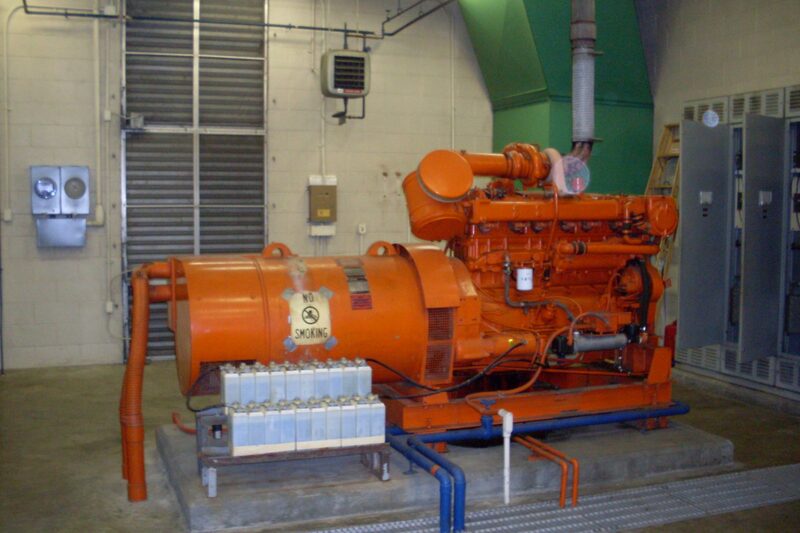 Improvements also include a new emergency generator rated at 500KW, 480 Volt, 3-phase. Delaware also assisted the Village with funding procurement. The WWTP efficiency project was funded by Village funds, a $600,000 CDBG Grant, a NYSESD-CCAP $650,000 Grant, and through the CWSRF a $750,000 Grant and $1MM 0% Loan. Construction started in the late winter of 2014 and was completed in the spring of 2015. 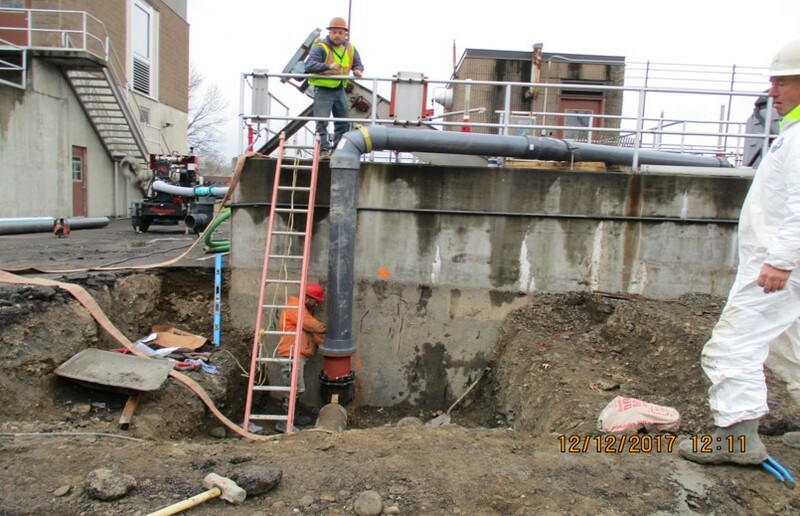 Delaware Engineering assisted the City of Hudson with Combined Sewer Overflow compliance and upgrades to aging plant facilities. The project involved the planning, permitting, design and construction of a new influent pump station, headworks and wastewater disinfection system capable of handling 17 MGD in accordance with the City’s Long Term Control Plan. The project also included upgrades to the 6.0 MGD aeration system, primary and secondary clarifiers, replacement of the sludge processing equipment, sodium hypochlorite storage and feed systems, and upgrades to a 5 MGD off-site pumping station. The project was financed by the American Recovery and Reinvestment Act and was completed in 2011. The Kent Manor Sewer Corporation contracted with Delaware Engineering/ Milnes Companies in a design-build contract to design and construct a membrane bioreactor (MBR) wastewater treatment plant. This facility treats residential sewage from the Town of Kent and a proposed residential subdivision. 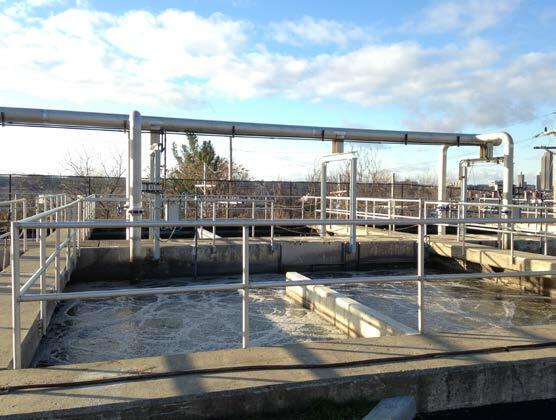 This facility is located within the NYC Watershed and meets all requirements for microfiltration. Additionally, the facility meets a very stringent total phosphorus limit of 0.05 mg/L in compliance with the project’s phosphorus offset pilot program. The facility includes flow equalization, fine screening, membrane bioreactor, chemical addition for nutrient removal, and chlorine disinfection.